When it comes to choosing the right baby sling, any parent has a million of questions. Each sling has its advantages and disadvantages. That’s why this subject may require extensive studying before the final decision can be made. 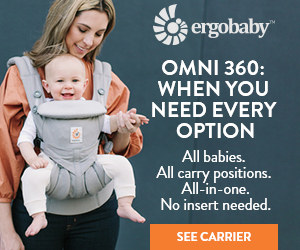 If you have an eye on a sling as the best carrier for your baby then we are offering you a quick overlook of different types of baby slings as well as the models you might want to consider. So what slings are available out there? There are two types of baby slings on the market today: Pouch slings and Ring Slings. What are the advantages of a pouch sling? What are the pouch sling disadvantages? Versatility – a pouch sling is usually perfect for newborns but won’t be as comfortable for toddlers. At the same time the lack of adjustability makes it hard to switch between parents of different sizes. What are the Advantages of Babylonia Tricotti Baby Sling? What are the Disadvantages of Babylonia Tricotti Baby Sling? What are the advantages of Kissed Baby Pouch Sling? Offers six different positions which makes it easy for the parents to choose the best position for them and their baby. Reversible fabric allows you to choose two of your favorite fabric colors and switch between them whenever you feel like it. Has additional features. One of them is a Mobile Pocket. What are the disadvantages of Kissed Baby Pouch Sling? The sling comes in six sizes and while you can choose the one that suits you best, you won’t be able to transfer the sling between partners unless your partner is the same size. What are the advantages of Hotsling Adjustable Pouch Sling? Padded knee rails make the pouch comfortable for the baby. The sling can be adjusted to make the baby and the parent comfortable. High learning curve. Most moms report that is it’s quite complicated to master the putting on technique of this pouch sling. When in the cradle position the baby is too low and the forehead is not high enough for the mom to reach with her lips which makes the position not completely safe. One-shouldered wear makes it hard to carry the baby for a long time and will make it tough to wear a toddler. Adjustability. The sling can be adjusted which makes it comfortable to wear for a parent of any size. One shouldered wear makes it hard to carry a toddler and requires constant shoulder switching. Overall, we can say that a pouch sling is recommended for the babies who are under 12 months old. The one-shoulder wear makes it uncomfortable for the parent to wear a heavy child. While some manufacturers claim that their pouch slings have many different carrying positions, in reality only the most basic cradle one and the hip one are used by moms. The pouch slings are mostly more expensive than ring slings since they have more complicated designs. They offer different additional features such as padded should straps or padded knee rails which make the sling more comfortable to carry for the parent and more comfortable to sit in for a child. Breastfeeding might be a little less comfortable in the pouch sling since it lacks the amount of fabric a ring sling does. However, this lack of fabric is also an advantage since it makes this sling much less hot to wear in a warm climate. At the same time, it makes the pouch much more compact and it can be folded to the size of a handbag. Out of the pouch slings we reviewed, we would recommend HotSling adjustable baby pouch. This sling has all the advantages a pouch sling should have, including the padded knee rails. It comes at a rather reasonable price and can be adjusted to a parent of any size. Babylonia Tri-cotti Babysling get the second place for two-shoulder carrying option. This design makes it easy for parents to wear heavier babies – an option that other pouch slings lack. However, the carrier comes at a high price and lacks adjustability. A ring sling is a rectangular piece of fabric one end of which is pulled through two rings on the other end to form a loop. A ring sling will fit a parent of any size so it can be transferred between partners. This sling allows for comfortable breastfeeding since a large piece of fabric covers the mother and the baby. Ring slings are very compact and are usually machine washable and often drier compatible. This sling provides even weight distribution over the parent’s back. Ring slings offer several baby-carrying positions. Taking the baby out of the ring sling is fast and easy. What are the disadvantages of Ring Sling? A ring sling has a pretty high learning curve. Switching between positions is complicated. Ring sling can become uncomfortable when wearing a heavy toddler. One-shoulder wear is uncomfortable for people with backache problems. Shoulders need to be switched all the time. Too much fabric makes the ring sling too hot to wear in very warm weather. The absence of extra features such as pockets require the parent to carry extra bags. There is a big variety of ring slings on the market. Let’s take a look at several of them for comparison. What are the advantages of Tula Ring Sling? Many different patterns make it easy for the parents to choose the best option for themselves and their partner. This ring sling has four wearing positions (cradle, front, hip carry, kangaroo). This sling offers maximum safety and support for an infant. While the sling can be machine washable, hand washing and air drying is recommended. Just like other ring slings, Tula has a high learning curve. Tula Ring Sling is rather high priced. It starts at about $130. After the baby reaches about 20 pounds, the sling becomes uncomfortable to wear. Beco Ring Sling is moderately priced. You can buy it for about $ 55. This ring sling is very compact and can be good for travelling. Gathered shoulder offers good fabric distribution over your shoulder and back. The 100 % cotton fabric is soft and durable. It can be washed in the machine. This sling is well-sized and doesn’t have too long of a tail that can get uncomfortable for many parents. Comes in plain colors and offers little choice of patterns which is “daddy friendly” but not appreciated by moms. Not suitable for toddlers and can be uncomfortable to wear on lengthy trips or outdoor activities such as hiking or camping. While being very sturdy, the fabric is rather heavy and adds to the discomfort of carrying a heavier child. At the same time the fabric is pretty thick which makes it hot to wear during the warm months. This ring sling is made out of 100% pima cotton which is high quality breathable and non-allergenic fabric. The rings are nylon, not aluminum. The inch-wide hem around the fabric makes this ring sling appear safe and durable. The sling is compact and can be comfortable to carry while traveling. Mamaway ring sling has a built in pocket which it folds into for compact carrying. It comes in a large variety of different colors. This sling gets many positive customer reviews. This sling is not designed for long-term baby carrying. After about an hour, the shoulder starts hurting even if you are carrying an infant. High learning curve will make the newbie parents spend a lot of time learning how to put the sling on. The price for this ring sling is slightly higher than the average and starts at $60. Wide fabric is spread over the should and back and offers good weight distribution. This sling is rather lightweight and can be worn comfortable in warm weather conditions. This sling maintains its value after it has been used, so it can be resold without losing much money. This ring is made out of breathable linen and is machine washable. Since the ring sling is very adjustable, the tail is rather long which can feel uncomfortable for many parents and can be a real hassle for petite moms. Ring slings are the most popular baby slings out there. They have many advantages. One of them is a rather low price which can be a deciding factor for many mothers. While not having such extra features as soft-structured baby carriers do, ring sling can have storage pockets and sometimes even padding. Ring slings come in many different colors and patterns as well as a wide variety of fabrics. This makes it easy for parents to choose a fabric suitable for their climate. The ring slings are always adjustable and can fit a parent of any size, which is not the case with pouch slings that often lack adjustability. Ring slings are a good choice for parents who are not afraid of a steep learning curve and want to save some money, while not losing any quality. The main disadvantage of the ring slings is their versatility. They can be called a perfect choice for infants since they offer a very comfortable ergonomic cradle position and allow for discreet breastfeeding. However, carrying toddlers is much less comfortable. People report back and shoulder aches. So a ring sling is recommended for babies under 20 pounds. For those of you who are on a tight budget we would recommend Beco Ring Sling. Beco gets good customer reviews and has a very moderate price. The lack of colorful patterns can be easy to overlook. However, if you live in hot climate, Beco will not be a good choice due to the thick and warm fabric. If you are ready to dish out some more money for a baby sling, consider getting Tula. It has all the advantages of a solid ring sling and is appreciated by many moms for the comfortable wearing of babies under 20 pounds. According to the customer reviews, parents use this ring sling both indoor and outdoor activities. 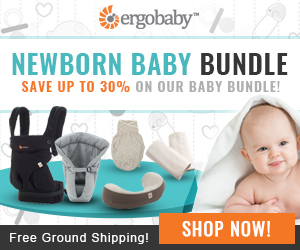 Overall, both pouch and ring slings are a good choice for infants. They provide good ergonomic position for the smallest babies and offer comfortable nursing. Once the baby starts getting older and heavier, we would recommend switching to Mei-Tais, SSC or framed backpack carriers.